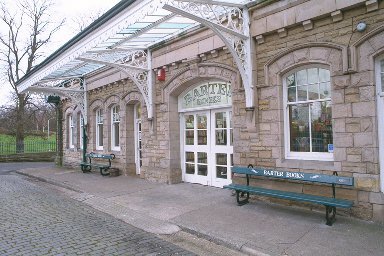 When we announced that we were moving “up North” some people got excitable about me being able to visit Barter Books at Alnwick Station. This advertises itself as “one of the biggest secondhand bookshops in Britain” and it’s the sort of place to visit on a wet Saturday afternoon – or indeed at any time, as their opening times are generous. For those of you not blessed by being northernreaders, you can see their website, and ask them about finding books for you, on http://www.barterbooks.co.uk/shop.php among other things. Anyway, I did emerge well fed (the cafe is really good) and clutching some interesting stuff, including three Molly Keane books. I also bought the entire Poldark series…on DVD (well, I’ve got all the books twice over in most cases). More seriously, I bought the biography of Angus Wilson by Margaret Drabble. I knew Tony, Angus’ longtime partner, in a former place. It’s a big book, so I’m not sure when I’ll get around to actually reading it. Drabble is an immensely good writer, so there’s at least two good reasons to try. Well, a great bookshop visit, and interesting to see what they had. And if you do find yourself in northernreader territory, well worth a look.